I went to the new posts reader this morning and saw Celia’s new “In My Kitchen ” post at Fig Jam and Lime Cordial and was shocked at how fast time has flown by. Yikes! It has been over 2 weeks since I have posted anything. Guess when life gets busy, things slip by without realizing how much time has slipped by unnoticed. In my kitchen were 5#’s of fresh turnips and radishes which are being turned into Pickled Turnips. The recipe came from David Lebovitz a while back. As much as I love turnips and radishes, the recipe intrigued me, so I had to try them and fell in love immediately. 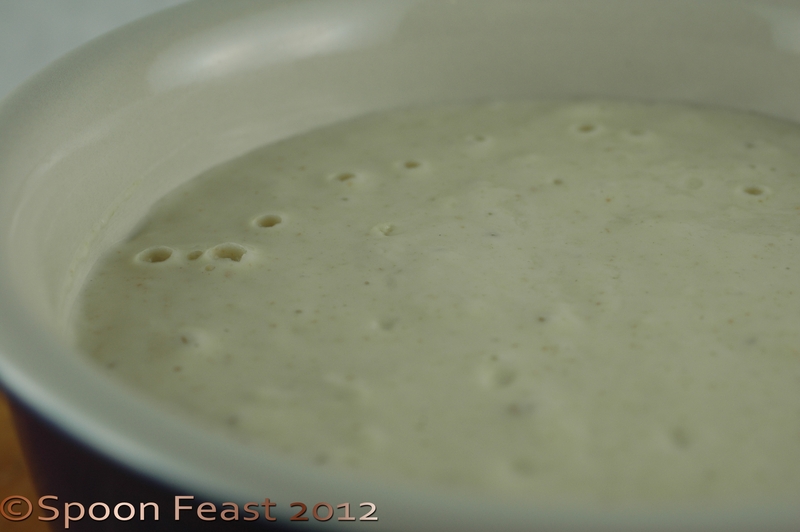 A post with the recipe is in the works. 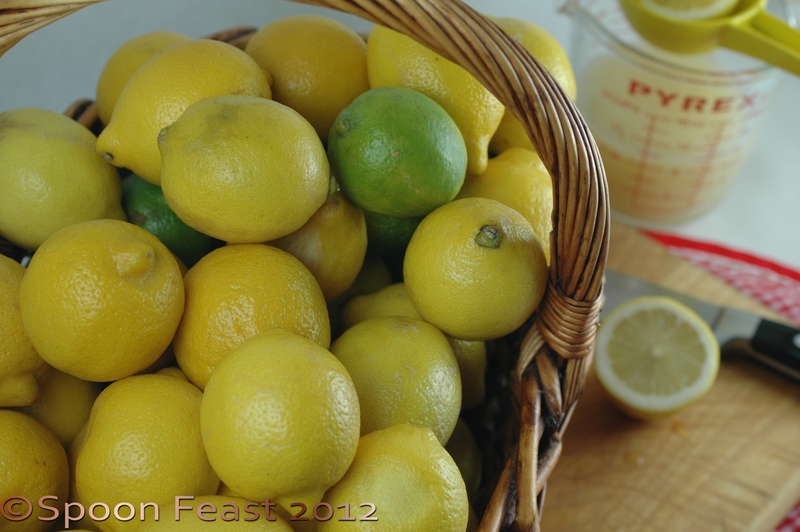 In my kitchen is a big basket of lemons and some limes. Robert uses the limes in his drinks so I need to come up with some ways of using all these lemons we over bought. So I am planning to make lemon curd, preserved lemons, lemonade, dried zest, maybe some lemon vinegar and emulsified lemon oil and Chicken Piccata. Right now, they are just a basket of lemons. 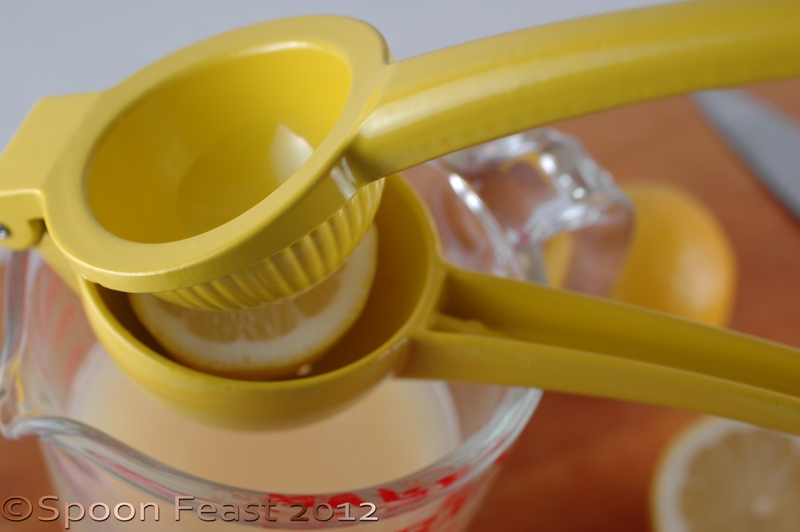 I bought a lemon squeezer just because. In my kitchen is a new pan! 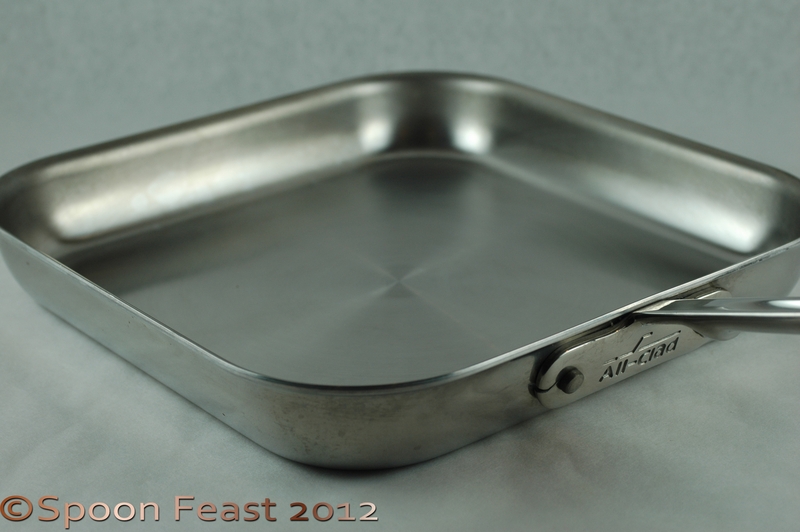 I love this new square pan from All-Clad. I am sure they call it a griddle but I sure do like it. I have used it everyday since I got it. In my kitchen is my levian. It was kept in the fridge all summer. Now that the weather is cooling down, it can come back out and hang out at room temperature. It will develop a deep rich flavor this way. Typically I make bread every week. I think September was a time warp because I didn’t make bread but once, maybe twice. And now October is also flying by. Can time be measured accurately by a levain life cycle? if so, I should read and listen to what it is telling me. I have two buckwheat loaves in the oven. Next is a 10-grain loaf and an olive loaf with lemon and rosemary. I look forward to making that one! Tyler gets to move back into his apartment next weekend so he will be cooking again. The “How To . . .” posts will start back again soon. And there is another White Dinner Event on October 27 and classes resume again soon. Is it true that time speeds up as you get older? Is it time to write the November IMK already?! This entry was posted in Cooking Thoughts, In My Kitchen, Recipes and tagged All-Clad, Bread, cooking, david lebowitz, Home, In my kitchen, Kitchen, Lemon, pickled turnips, Recipe, square pan, Turnip. Bookmark the permalink. Love your new square pan! Thanks Uru, It’s nice to have you back writing. Those pickles do look tasty! And I love lemon ANYTHING! I like the look of that pan- I don’t think I would put it away in the cupboard- just keep using it and wiping/washing it between meals! I need to work a little with my starter- thanks for the reminder! That pan seems to live on the range now. 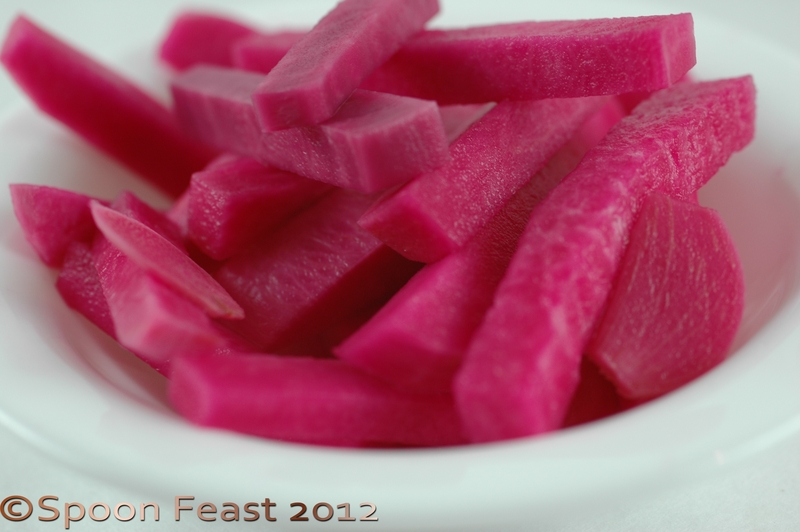 I’ll post the Pickled Turnips soon so you can try them too. They are oddly addicting. This all looks so good- pickles and lemons and a perfect square pan. I wouldn’t even put it back into the cupboard- just keep wiping/washing it to be ready for the next meal. And thanks for the reminder about the starter- mine needs a little workingon! I love that All Clad pan but like Celia said, they are very, very expensive here. I also love the photo of the radishes. They are very pretty. It’s good to know what pans others use and like. I will check out the All-Clad pan. I have many lemon reamers…of course I have a lemon tree so it’s a must! 🙂 Love your photos, enjoyed the post! Lucky you! I wish I could have a lemon tree. I might try to grow one in a pot. Would it produce fruit? I usually squeeze the lemon halves both ways so it end up inside out. I think you get all the juice that way. Thanks for mentioning that because it is a good thing to try!